The Skull Daddy just got better! Up your intimidation factor in any tactical terrain with our exclusive Kryptek Skull Daddy line. With your favorite tactical design in 8 different color schemes, you’ll be the baddest of the bad on the paintball field, motocross track or ATV trail. Great quality. Keeps shape well and for it being so thin, it retains heat well. Love it. Love It!!!! It is one of the best and can’t beat the price!!!!! No complaints at all. Hoorag quality! Love it! Amazing product! G reat material and coloring, perfect for under a helmet, on a boat or to just keep the wind and bugs off you. Exactly as advertised. Lightweight, breathable and good even in summer for facial protection. Perfect for dusty UTV riding. Beats the pants off my old hunting face mask. Got mine in Highlander. It is amazing. Can’t wait to try it out during hunting season. As per usual these rock! Fits very nicely and has amazing feel to it, yeah I know its just polyester, but it does feel great. I’m going to look for the yeti style next. Thanks Huk. Great product for any type of hunting also i love it because makes for a really good wind breaker when Riding the ATV!! Got it in a hurry. Was purchased to keep Sun off on coast to coast road trip this spring. Can’t wait to wear it. 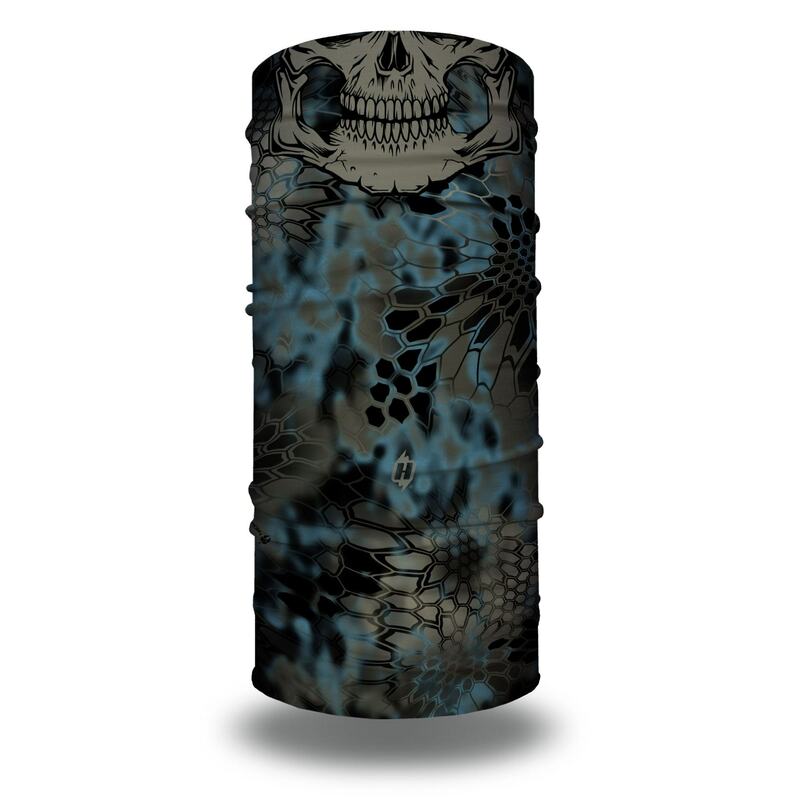 If you’re tossing up between the Kryptek Hoorags or the Skull Daddy, definitely grab this one! The skull is subtle enough to be folded away out of sight but noticeable enough for when you want to be cool. Love the Kryptek Skull Daddy!! I use it to hide my face while hunting!! Wont be without one. Awesome!!! Amazing quality material, thin, lightweight but retains heat when needed, superb postal and delivery service, thanks to all at hoo-rag! Will definitely be getting more. Great quality. Keeps shape well and for it being so thin, it retains heat well. Love it. Will be getting more. The kryprek patterns look amazing! The Hoorag is extremely high quality. I love it! Great looking hoo! Very soft and looks great! And it also looks great! Hoorag quality and the kryptek patterns…second to none! Now that the skull daddy is out, this is my go to! Great work!